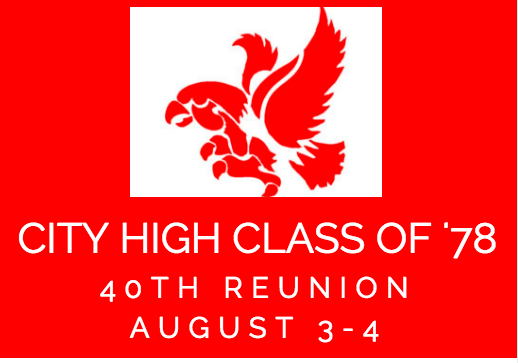 The purpose of this site is to inform and connect the City High Class of '78 regarding reunions and class news. Use the controls on the left to learn more about our upcoming 40th reunion, register for the reunion, peruse photos from past reunions. Additionally, please consider using the donation link to support the 40th and future reunions.